To provide relief to family members for children with advanced medical needs. RN supervised care including transfer assistance, medication reminders, catheter care/colostomy care. Caregivers has been a community resource providing healthcare for over 20 years. Located in downtown St. Joseph. Our goal is to help your loved one stay in the familiar surroundings of their own home while offering a better quality of life. There may be times you’re not able to do it all. Whether you are caring for a loved one or need help yourself you need someone you can trust and depend on. Healthcare needs can be confusing and challenging so let our quality staff help you customize a care plan that will help with the nurturing and caring of your loved one to ensure that all of their personal needs are met. 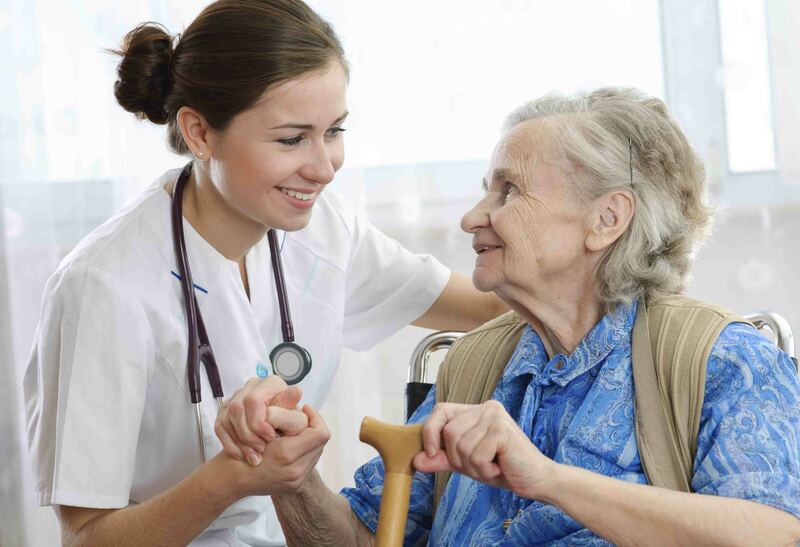 Caring, dependable and knowledgeable are the words that describe Caregivers and their staff. I know they will be there standing beside us facing any challenges that come our way. Services are available from 2 to 24 hours a day, 7 days a week including holidays as needed. Will provide services in your home, hospital setting and long term facility. Staff fully trained to meet every type of care provided. Care provided to all ages and disabilities, meeting simple needs to the most complex through Medicaid, VA, Platte County Senior Fund, Healthy Children and Youth, Department of Mental Health. Additionally we can bill under most Long Term Care Insurance Policies and offer the option of Private Pay. Providing relief to caregivers and supporting individuals in the community. Providing assistance with bathing, dressing, grooming, and toileting. Provide short tern relief to family members. Medication set up, blood draws, diabetic nail care, skin monitoring. All Services provided but not limited to. My mother has been with Caregivers for many years and is completely satisfied with this organization. She has received great care in the fulfillment of her needs. In addition, my family is also very satisfied with the care that is given to our mother. I would greatly recommend Caregivers to all who search for their kind of care. Caregivers is a great company. I would recommend anybody needing help to call Caregivers because they are great people.